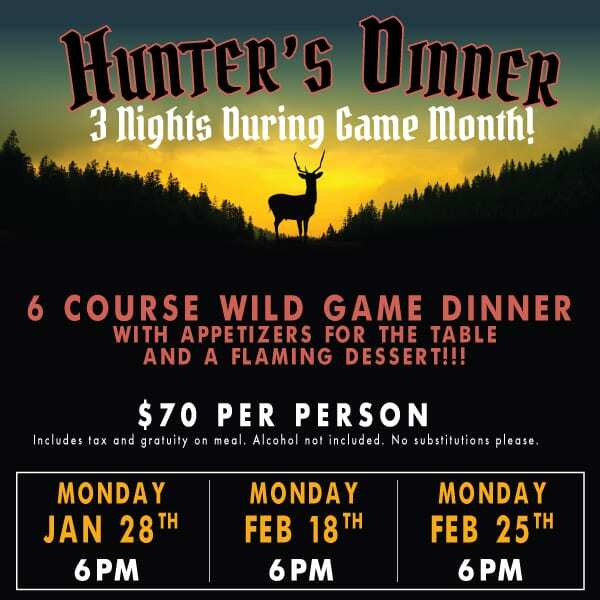 Calling all hunters and foodies! 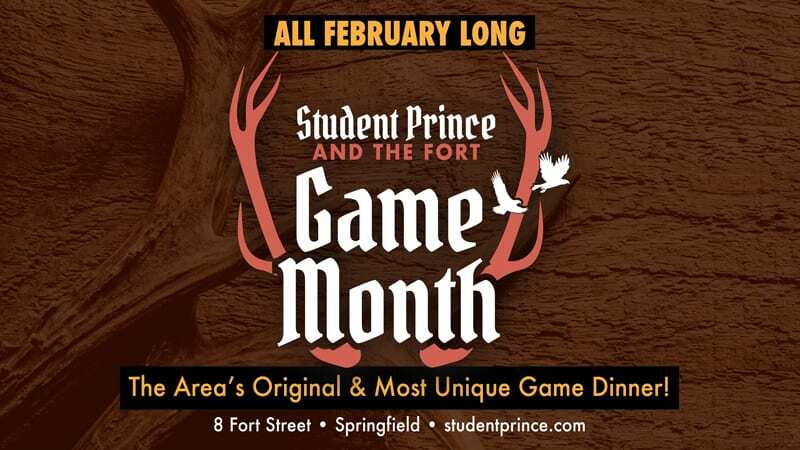 Go wild for Hunter’s Dinner Nights at The Student Prince and The Fort Restaurant beginning on January 28 and running throughout the month of February. Only $70 per person and the six course meal includes wild meats, fish and foul dishes with select beers from local breweries, plus a flaming dessert. Reservations are recommended. Call 413-734-7475 or email info@studentprince.com. All three Hunter’s Dinners begin at 6 pm.